Jun is taking on the 42 floors of Vertical Rush to raise money for Shelter, the homeless charity. It’ll be a long way up on Feb 25th. We’re looking for some brave people to join the team and help us raise some money. Would you like to join the TeamYew for this challenge? We’ll be kitting out anyone that joins our team for this challenge. You may have wondered why we’ve been so quiet in January. Life has just been a little hectic over at Yew HQ. The press has been good to us – we’ve had some nice coverage in the Runner’s World Christmas Gift Guide, Athletics Weekly, 220 Triathlon and Yoga Magazine. Climate change has been top of our minds recently – with most of us hoping that the snow and ice would melt and we’d have a bit of early spring weather. Now that the snow’s gone, people are out in force – especially all those runners that were going stir crazy. So if you want some fresh kit for a fresh start, try grabbing our long sleeve Everywear Base top – a breathable wicking top. Great on its own or as a layer – and it’s made from about 10 recycled plastic bottles: so it’s good for you and the environment. 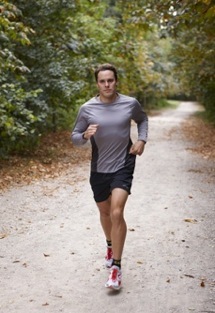 Our range of active wear is designed to be used for any sports and outdoors activities. You can take us anywhere. We are offering FREE delivery for all UK orders until the end of February. All our orders go out using re-used packaging where possible (don’t worry, it’s all clean!). It’s hard to find a reliable supply though.